When blueberries are in season, 2 things that come to mind are No Bake Blueberry Pie and Blueberry Muffins from Jordan Marsh. 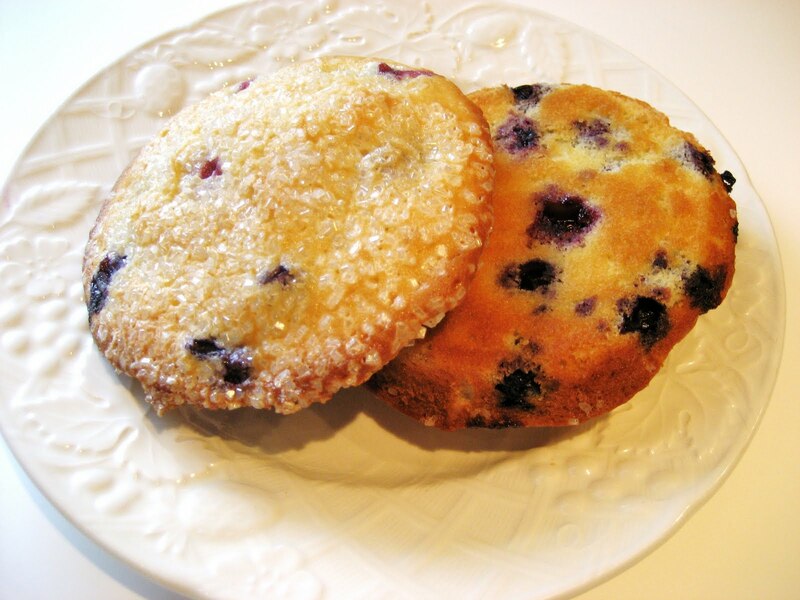 I have vivid childhood memories of going shopping at Filene's with my mother and always making a pit-stop at Jordan Marsh to pick up some famous blueberry muffins to bring home with us. It was a big white box with blue writing tied with string. The muffins were loaded with berries and crunchy chunks of sugar on top. If you are from New England, you know what I'm talking about. There have been many recipes posted on the web, claiming to be the original. All are very similar but they are all missing the key ingredient. The original Jordan Marsh recipe used Crisco. Yes, Crisco.....this goes against my grain so I used butter. Another secret is that the muffins didn't have a bluish tinge inside. This is because the blueberries were mixed in by hand and not mashed like many of the "fake" recipes call for. I love the crunchy top of the muffin sprinkled with sugar and when you get a burst of a fat, juicy blueberry popping in your mouth.........it's so delicious! This recipe has been circulating since the 60's. John Pupek, longtime baker at Jordan Marsh, finally disclosed the real recipe a few years ago in the Boston Herald. 1. 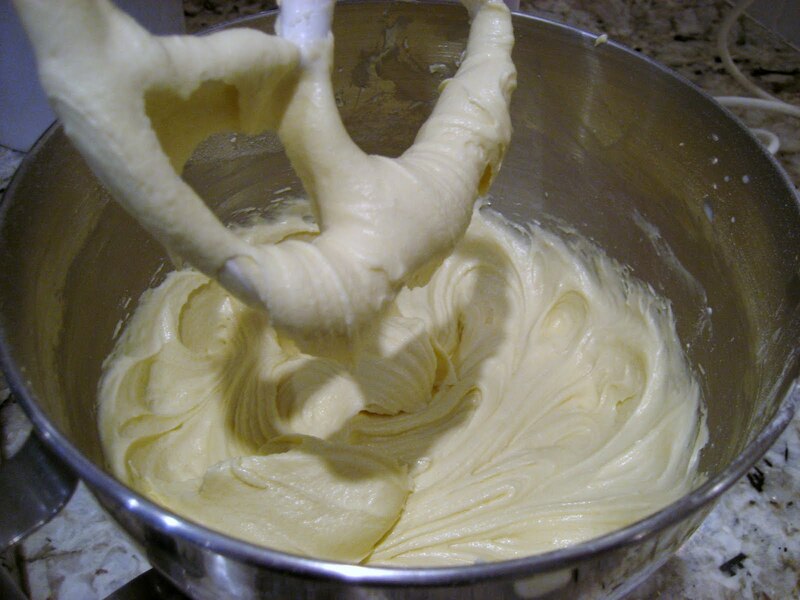 Cream together butter, sugar, and salt for 3 minutes. Add baking powder and eggs and mix well. Add flour, milk, and vanilla, and mix well again. Fold in blueberries. 2. Preheat oven to 450 degrees. Grease and flour muffin tins, and also the tops. Fill cups to the top. Sprinkle sugar on each muffin. 3. Bake at 450 for 5 minutes, drop temperature to 375, bake 20 minutes more for muffin tops or 30 to 35 minutes more for regular muffins. 4. Cool and remove from pans. A Boston Globe article about John Pupek at A Farewell to the Muffin Man does say "Baker John Pupek followed the secret recipe one batch at a time, folding in the berries by hand to keep them whole and working the batter until the consistency felt just right." Muffin top pans! Line with circles of wax paper or the tops tend to break easier than regular muffins. This recipe creates a silky batter. 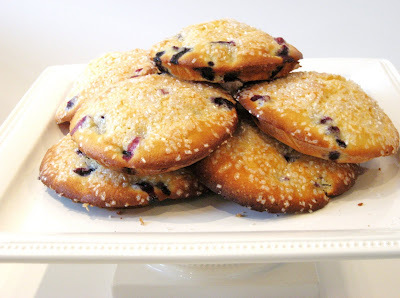 Toss blueberries with a little sugar to keep them from falling to the bottom of the muffin. Hand fold into the batter. Sprinkle sugar on top to get a crunchy coating. No more muffin bottoms left behind! I need to make this, they look delicious! I love the idea of making just the muffin tops.